Oftentimes during a personal injury lawsuit, a strategy of the defense is to blame the plaintiff for their own injuries. On the one hand, this makes practical sense, but on the other hand, it’s infuriating if you’re a plaintiff. It’s more infuriating still if you’re a new mother whose child has sustained injuries due to a poor standard of care. It is no less infuriating for mothers who are injured themselves while delivering children. A recent USA Today article outlined some of the issues facing hospitals that are resulting in injury or death to the mother during child birth. A young mother gives birth to her baby. Shortly after her blood pressure spikes. The hospital offers her pain medication and an ice pack. Her symptoms continue to worsen. After three hours of waiting she is handed off to a doctor-in-training. The doctor tells her that she will have to wait because he has a lot of other patients to deal with. By the time anyone gets around to helping her, she’s already dead. Each year, over 50,000 mothers are injured in the delivery room. Each year 700 die. In addition, the data shows that the problem is getting worse even as medical technology is improving. The question is why? It’s important to understand that not every American hospital is contributing to the epidemic of injuries sustained during childbirth. Some hospitals, in fact, have rates of injury that are nearly double the national average. Invariably, the causes have little or nothing to do with the mother but can be attributed to lapsed safety measures, missed diagnoses, and extended wait periods during which patients who could have been saved are left untreated and die. In the case mentioned above, officials for Touro hospital argued that their standard of medical care had not contributed at all to their patient’s death. 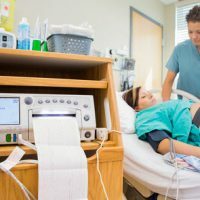 According to experts, at least of half of the 700 annual deaths and 50,000 injuries in maternity wards could have been prevented had the medical provider offered the standard of care commensurate with their profession. The death mentioned above involved a black mother who was receiving medical care from a hospital that works with “medically vulnerable” patients. The hospital’s response to the woman’s death was to mention the fact that many of their patients have “lifestyle diseases”, “poor health”, “high rates of poverty” and are “medically noncompliant”. What, if any, of those assertions relates to this particular patient remains unclear. However, black women are three to four times more likely to die or be injured during childbirth than white women. The Palmer Law Firm, P.A. litigates medical malpractice claims in the Tampa area. If you’ve been injured by medical negligence, talk to us today and we can discuss your options.